Customers on the skidpan at an Audi drive day. Picture: Supplied. 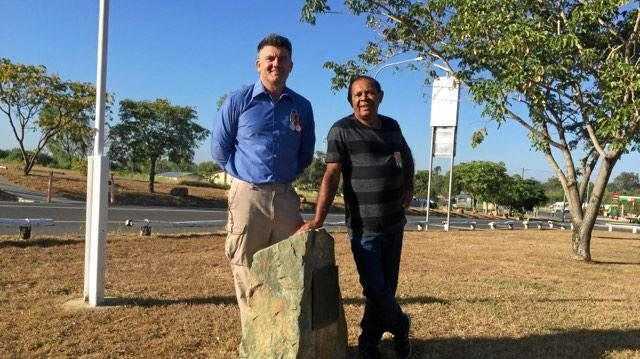 SELLING cars in the top end of town is not as easy as you might think. People who can afford $200,000-plus for a vehicle are usually too busy making money to spend it. To lure prospective buyers, luxury brands host drive days at which customers push a car to the limits on a racetrack or skid pan. About half the attendees pay nearly $1000 to do so. 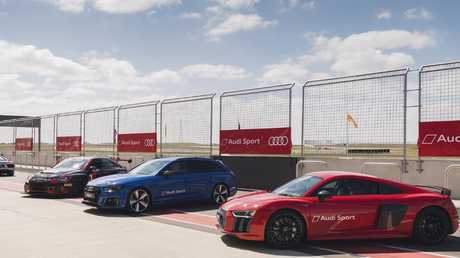 Customers take the way at an Audi Drive Day Experience at The Bend in South Australia. Picture: Supplied. The other half are "hot prospect" potential buyers, so the dealer picks up the tab. The one-day events roam from circuit to circuit across Australia. Audi has hosted more than 8000 attendees on 355 track days over the past six years. From those days alone, Audi has sold more than 250 high-performance cars - which doesn't sound like much of a strike rate until you learn the average transaction is between $180,000 and $200,000. The events are expensive to organise but pay dividends. Picture: Supplied. The 3 per cent conversion rate also doesn't include non high-performance Audi models. More than half the attendees already own an Audi and many have more than one in the garage. 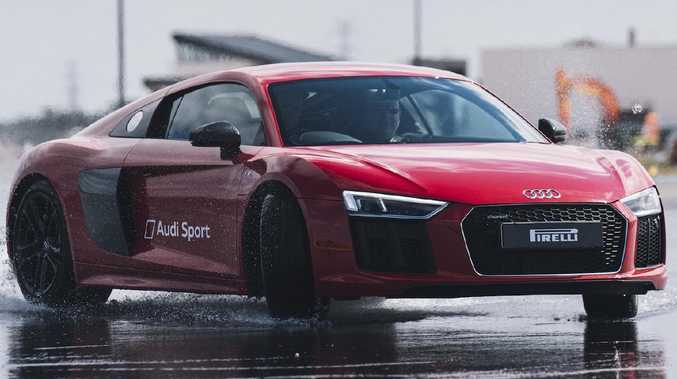 Beyond selling cars, Audi says its drive experience days are about giving existing customers and potential buyers "exposure" to the brand, an experience you can't deliver via social media or billboard advertising. "This is the best way to show off a performance car and a performance brand," says Audi Australia spokesman Shaun Cleary. "If we talk about different stages of the buying process this (track experience day) is not just about awareness … it's also about turning a prospective customer into a customer for the first time, or an existing customer into a customer again." Cars range from performance sedans and hatches to supercars. Picture: Supplied. There are no dealer sales staff at the events and Audi says the experts who run the day are not trying to sell cars. "It's not a traditional sales environment," says Audi senior product manager Matthew Dale. "The people being sent by their dealership … if they're interested in a particular vehicle, they go back to their preferred dealer. "We're here to show them what our cars can do and answer any questions they may have. They get to experience the car for themselves, form their own view." Some of Audi's newest buyers have come from an unlikely source - they were former high performance Ford and Holden customers. There are no salespeople on hand — owners are referred to dealers. Picture: Supplied. They are in the minority but Audi says there is an increasing number of buyers who have previously owned a Holden Special Vehicles V8 or a fast Ford. For Audi's S3 and RS3 hot hatch, Dale says, "we see a lot of people coming out of (Volkswagen) Golf R, Golf GTI, Renault Megane RS". That said, it's not a boys' club - women make up about 10 per cent of attendees but the number is increasing. Audi has begun adding women-only days. 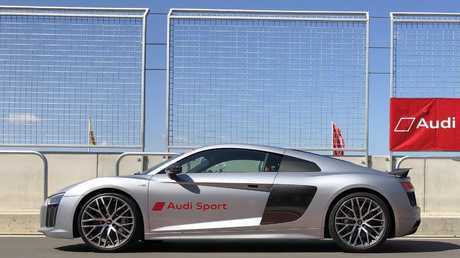 The experience includes laps in an R8 supercar. Picture: Supplied. Drive days cost big bucks to run - Audi had 38 high performance models on hand at its most recent track day at The Bend in South Australia, from the RS3 hatch to the R8 supercar - but are open to anyone who can afford the experience. The starting price is $900 and the cost increases through five levels. Attendees must graduate through each stage to ensure they have the skills to handle the higher speeds. Even if they don't buy a car, the maker's hope is that they will become "de facto brand ambassadors" - people who sing the praises of the product without actually owning one.